The Nokia N95 has been voted 'The European Media Phone of the Year 2007-2008' by the European Imaging and Sound Association (EISA). It's the third year in a row that a Nokia handset has won the award. The Nokia N95 scooped the award from Europe's leading consumer technology awards body. Each year it votes on the top products across a range of audio, video, photography, home cinema and mobile phone categories. 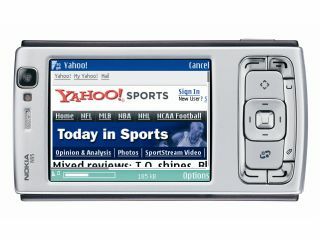 The EISA panel praised the N95 as having "practically every feature one could imagine in a mobile device" and described the Nokia N95 as a "state-of-the-art communication tool". EISA's judging panel comprises representatives from over 50 consumer electronics magazines from 20 European countries, and was established in 1989. Last year's winner of the Media Phone category was the Nokia N93.